Where’s the Money for Energy Efficiency Financing? Amongst the problems with energy efficiency upgrades is the little issue of money. Even though the projects will ultimately save a city, business or household money over the long haul, it’s tough to get people to invest the money upfront, if they even have it to begin with. Experts in the field often note that the right financing schemes could unlock millions and likely billions in energy savings in the coming decades. But a report from Lawrence Berkley National Laboratory, "The Limits of Financing for Energy Efficiency," refutes that claim. It does not assert that financing doesn’t matter, but there’s a whole lot more that needs to be right than just a financing model to move the industry forward. The paper primarily looked at the limits of financing in residential scenarios, but also pointed to commercial situations where easy money still doesn’t get the job done. Borgeson and her colleagues also note areas where financing could likely make an impact, such as in multi-family and municipal buildings, and some of the other elements that need to be put in place for energy efficiency upgrades to go from wonky policy sideshow to mainstream. Let’s start with where proper financing does work. The institutional market, stable yet cash-strapped, is the most obvious, said Borgeson. “If you have a champion in city government,” she said, “then you just need some money.” That “if” is no small deal, however. Having the staff to set up a well-oiled program and then keep it running is more than most municipalities can invest in. Another area that could benefit is multi-family units, which often lack access to capital or have to use any available capital for other projects, according to the paper from the Berkeley lab. On the commercial and industrial side, the picture starts to get even murkier. Many large businesses do have access to cheap money right now. In many parts of the country, electricity just doesn’t cost that much. Many corporations have picked up the lowest-hanging fruit, like lighting upgrades. Others just choose to use limited capital in other places. Analytics is starting to help change the C&I space, however. Software can tell businesses how to operate more efficiently without spending any money on new chillers, lights or sensors. If a company wants to do an upgrade, companies like Retroficiency, SCIEnergy, SkyFoundry and Serious Energy can help identify which buildings in a portfolio will see the best return on investment. And then there are homes. The individual consumer is a fickle animal. Like the other groups, homeowners are also strapped for cash these days. Electricity is a relatively small portion of most households’ discretionary spending. But putting kilowatts aside, people like comfort and improving their homes. If they didn’t, Home Depot wouldn’t be in business. One program that successfully married efficient financing with tapping into people’s need for creature comforts is Clean Energy Works Oregon. In just over two years, the nonprofit program geared to help homeowners reduce energy use has retrofitted about 1,800 homes with an average investment of $12,000 per home and a 30 percent savings rate. The organization acts as an intermediary between the contractors, lenders and homeowners. Having a player facilitate the business process is key, especially to give confidence to all parties involved. In the Chicago Infrastructure Trust, it’s the local government. In Oregon, it’s a nonprofit. On all fronts, quality is key. 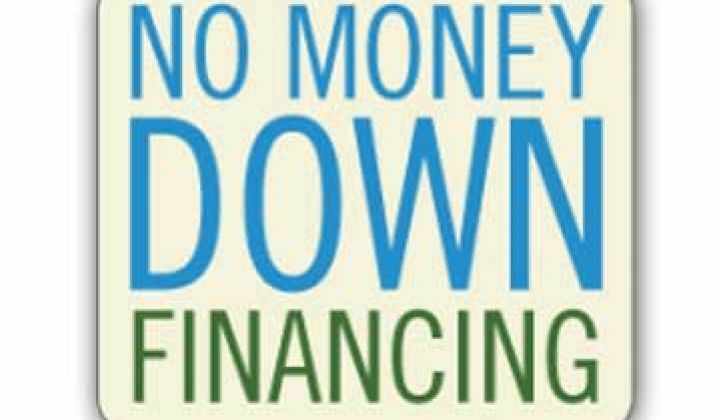 Homeowners have to have good credit and the contractors have to not only provide quality work but also have to be trained in financing and sales techniques. The lenders are local, so the investment is not just about energy efficiency but improving the building stock of the community and producing jobs. To get homeowners interested, three important features need to be in place. The first is rebates. Berkeley Lab’s Borgeson said that nearly all of the successful programs they looked at involved rebates. “This is still a nascent market,” said Derek Smith, CEO of Clean Energy Works Oregon. “Consumers still need promotional [offers]." The second feature is on-bill financing. Historically, people pay their utility bills, even as they default on other payments. Having some, or all, of the project on the utility bill also helps to give confidence to private capital to come in with more money. Selling energy efficiency, as part of a comfort and control package is not just a nice idea, it’s becoming the norm. Other aspects of the market are realizing this as well. Lowe’s, Home Depot and Best Buy all have connected home offerings that are centered on convenience and comfort, with energy savings an add-on.